Before gluten free went mainstream, Deya Warren started mixing her own flour blends at home in search of the perfect gluten free cake, bread, and sauce flours. 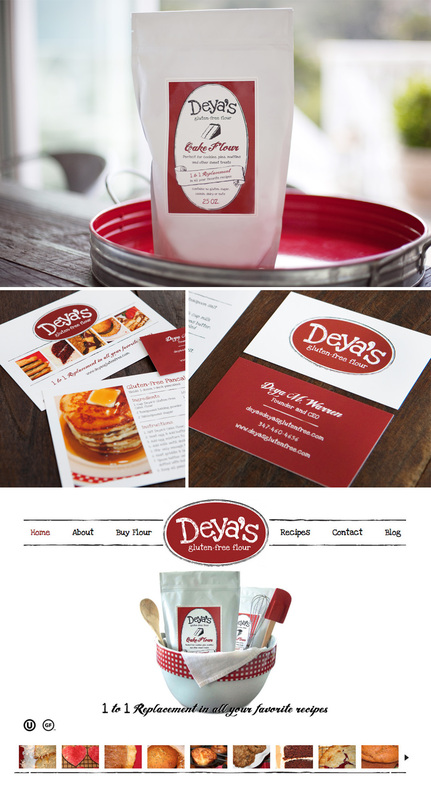 We had the privilege of working with her to design her very first flour package as well as some promotional pieces, business cards, and a website to support it. We wanted a rustic look – but one that still felt bold – so we combined a pencil sketch treatment with a simple red and black palette. And, trust us, these gluten free pancakes will not disappoint.